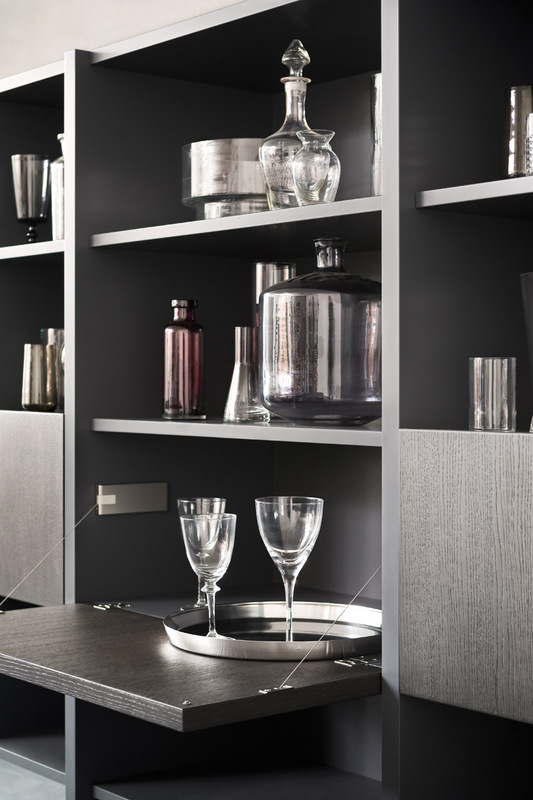 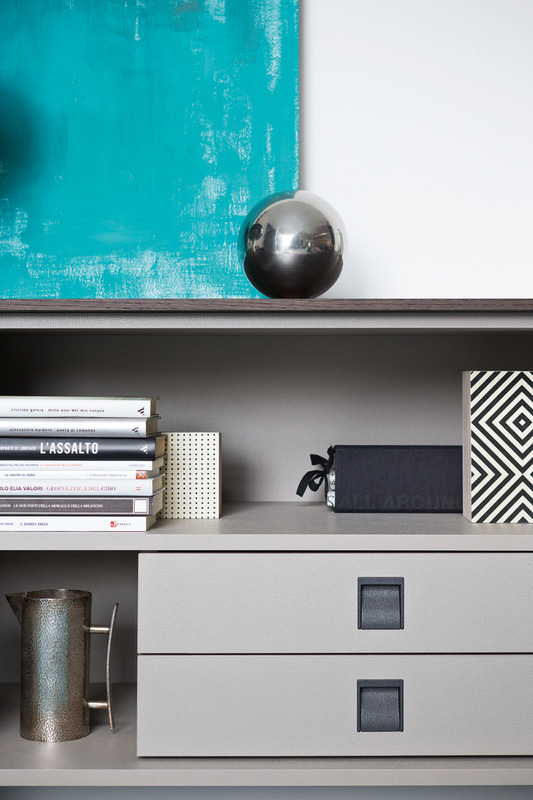 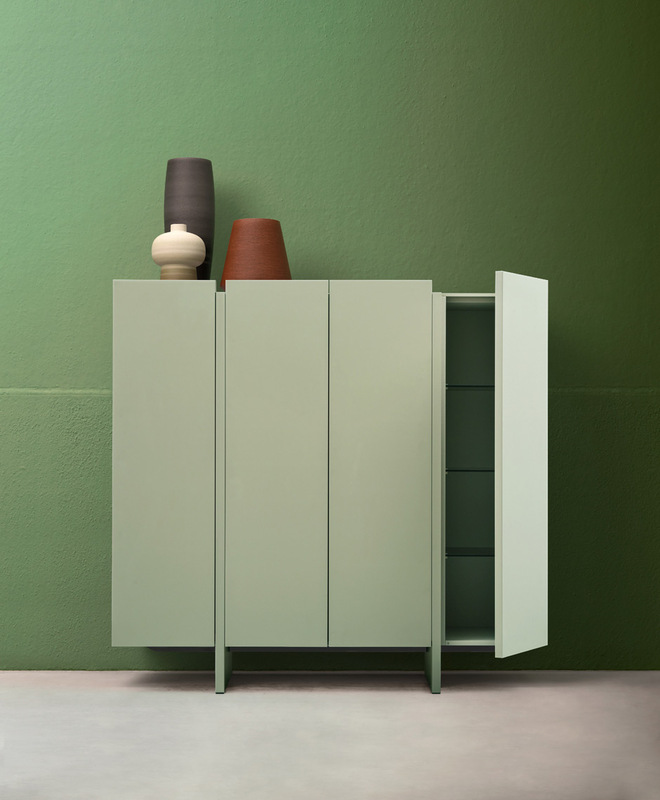 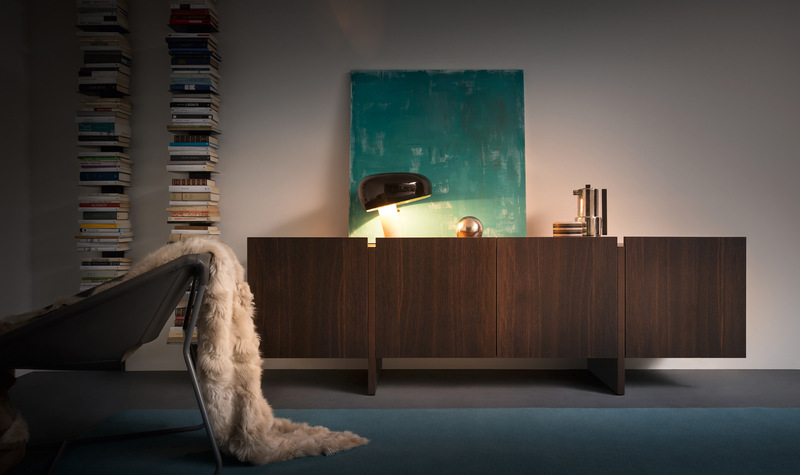 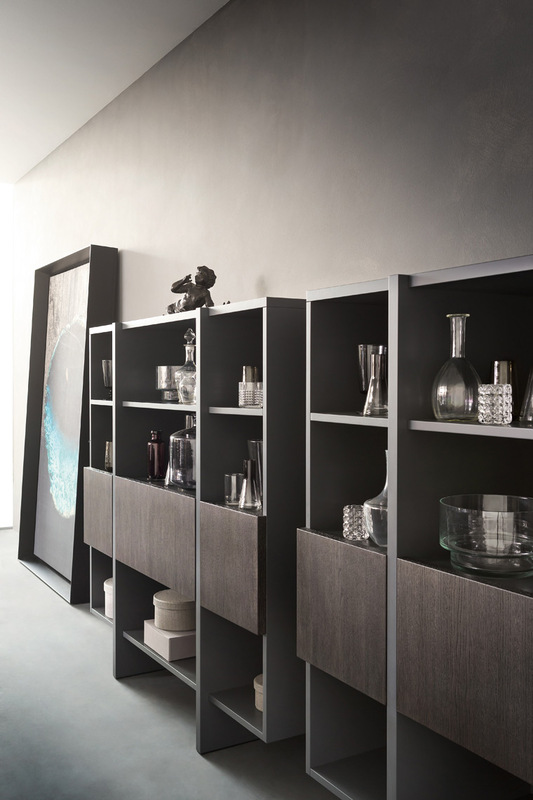 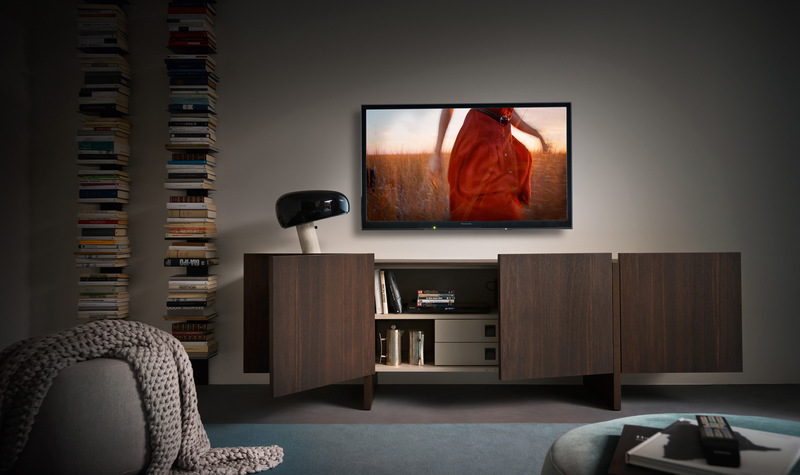 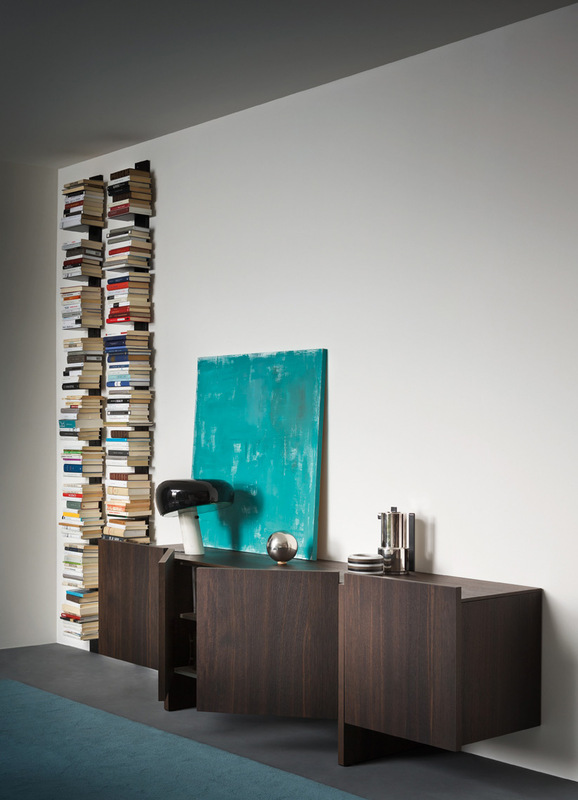 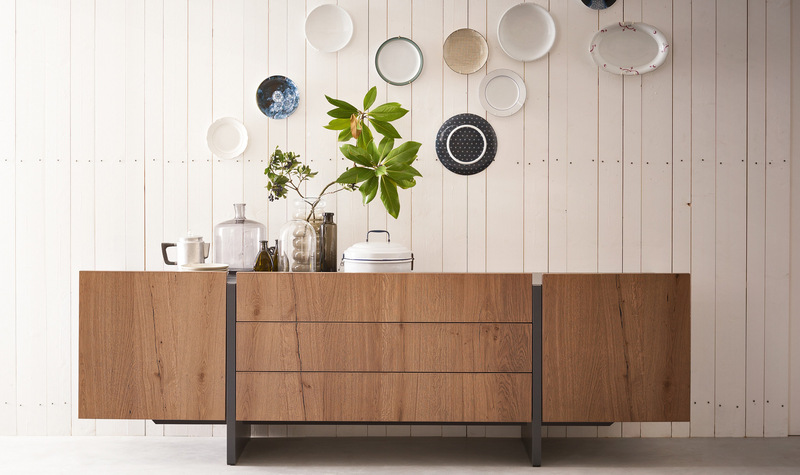 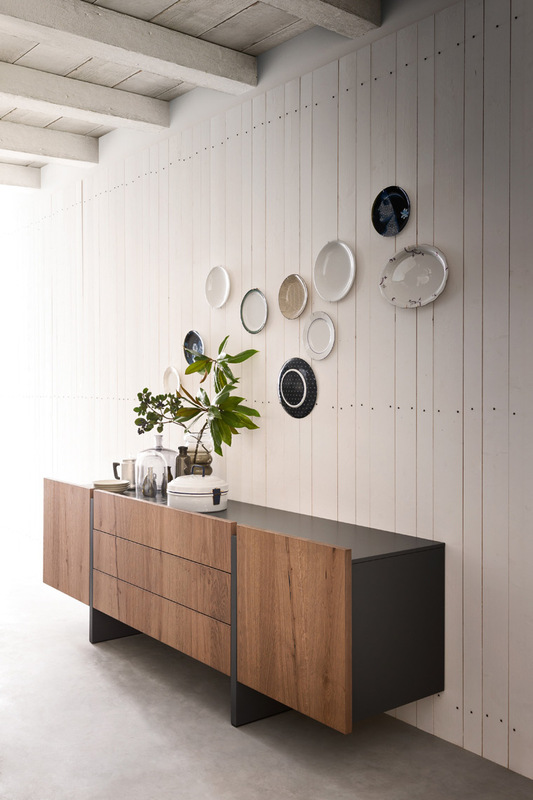 Recta is available in the sideboard, cabinet and bookcase version. 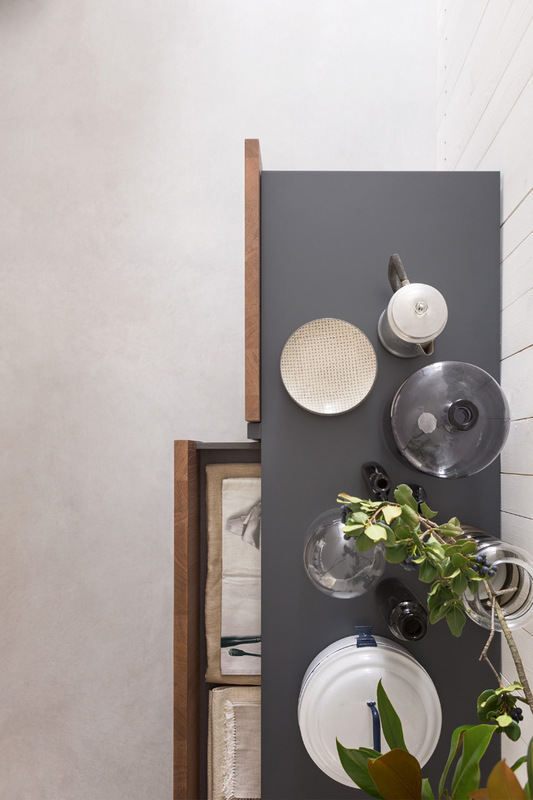 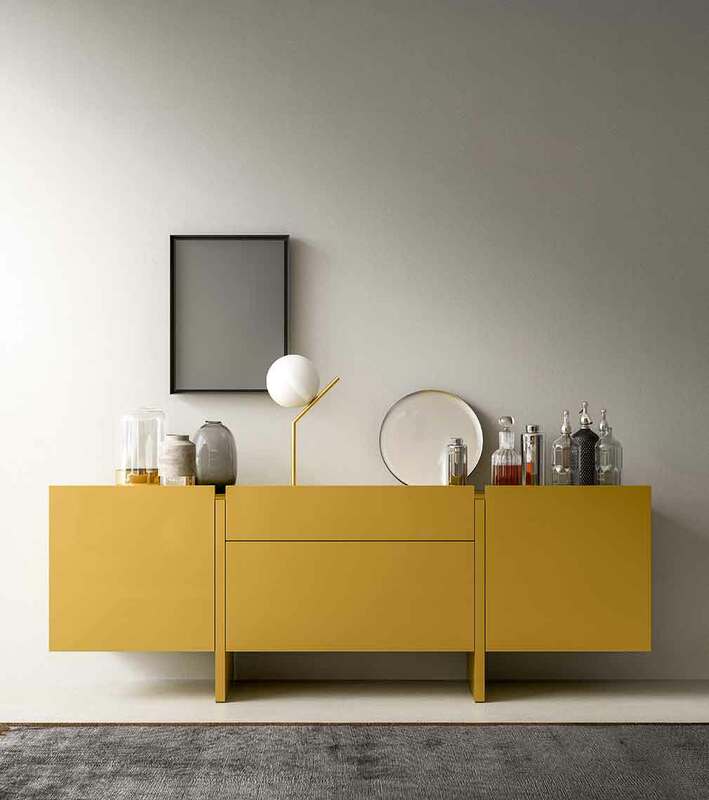 Recta creates colour contrasts between the door and drawer fronts and its structure, where the partitions also act as a base. 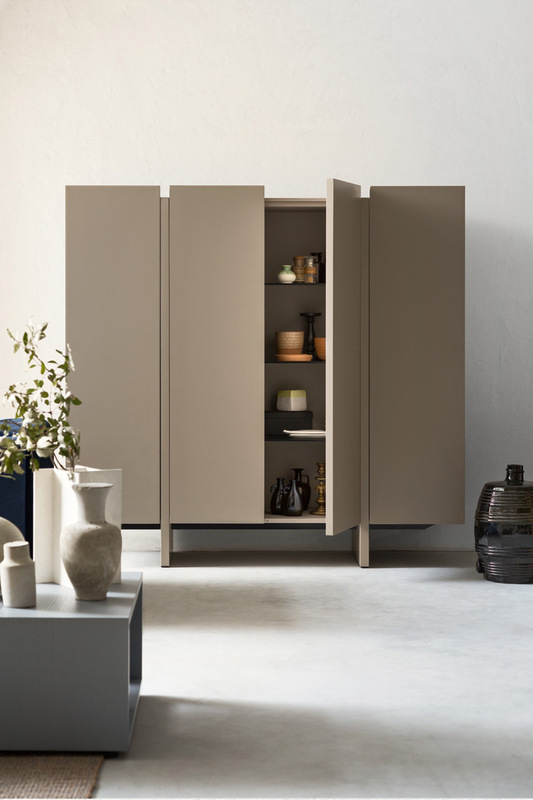 The central doors of the cabinet and sideboard have a total aperture of 180°. 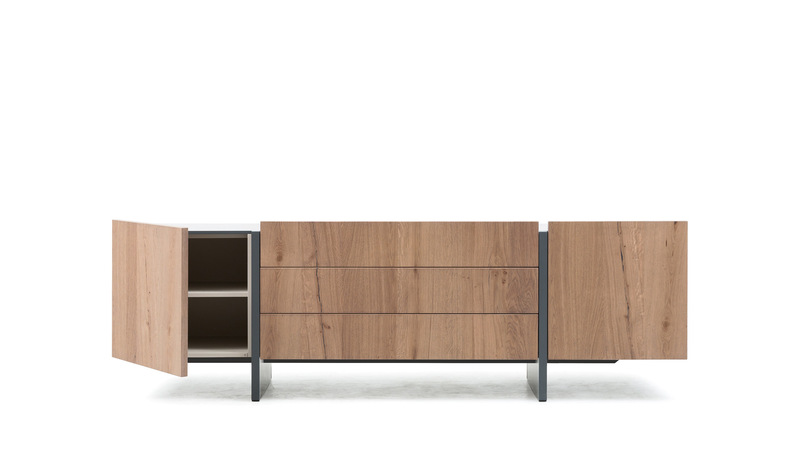 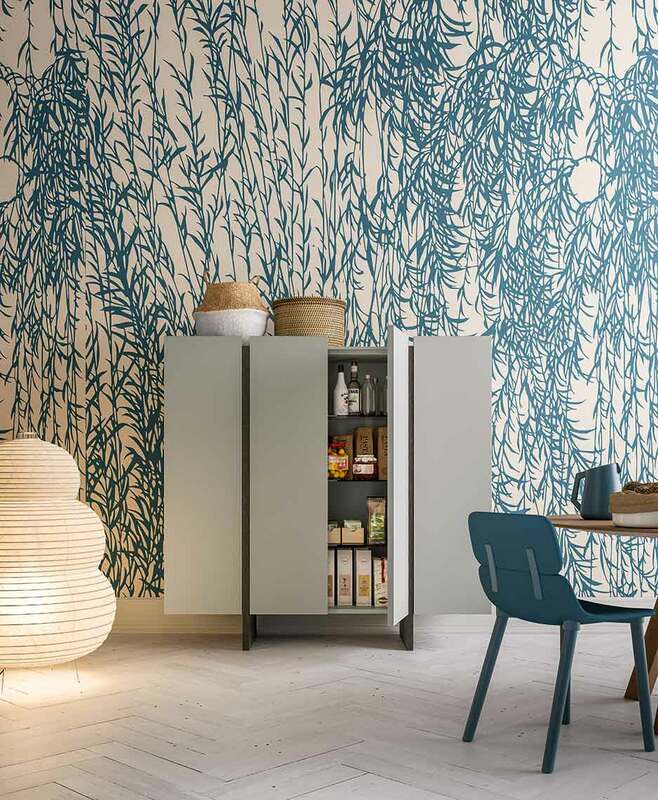 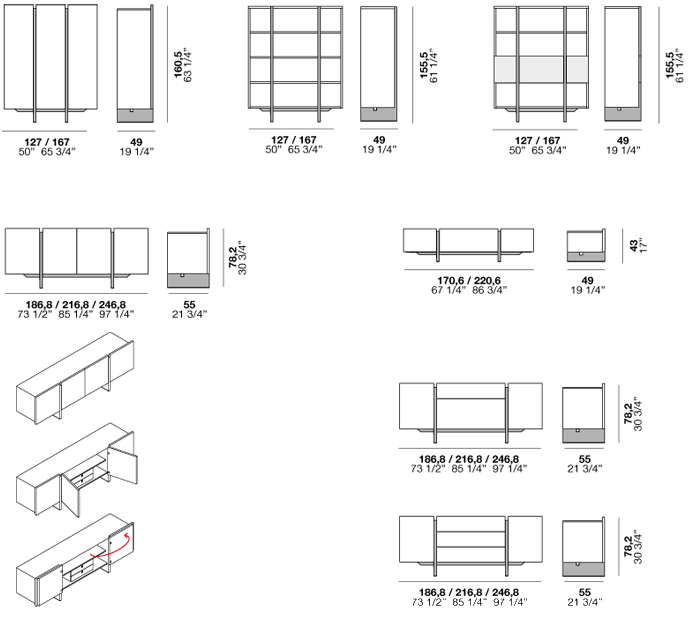 Excellent modularity and configuration possibilities, with internal lacquering available.